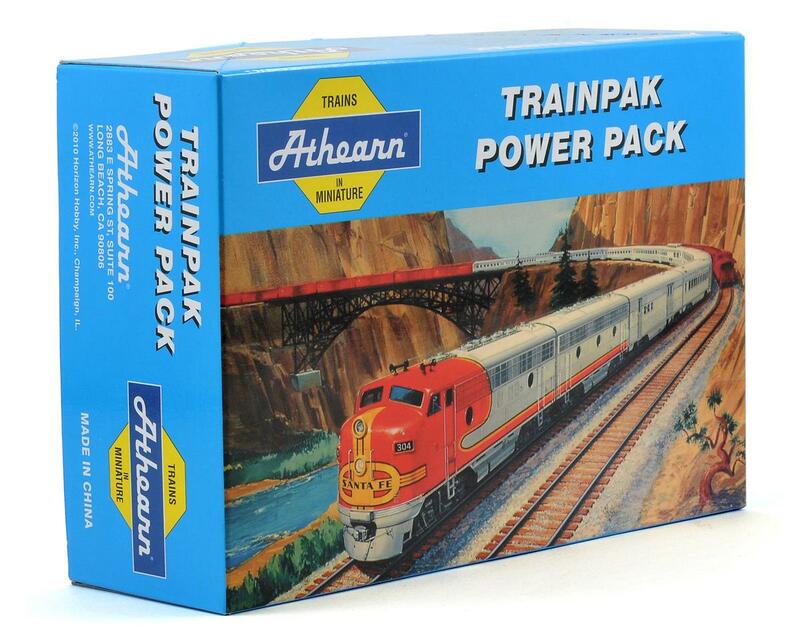 This is Athearn's TrainPak Power Pack, and is intended for use with HO and N Gauge Model Trains. 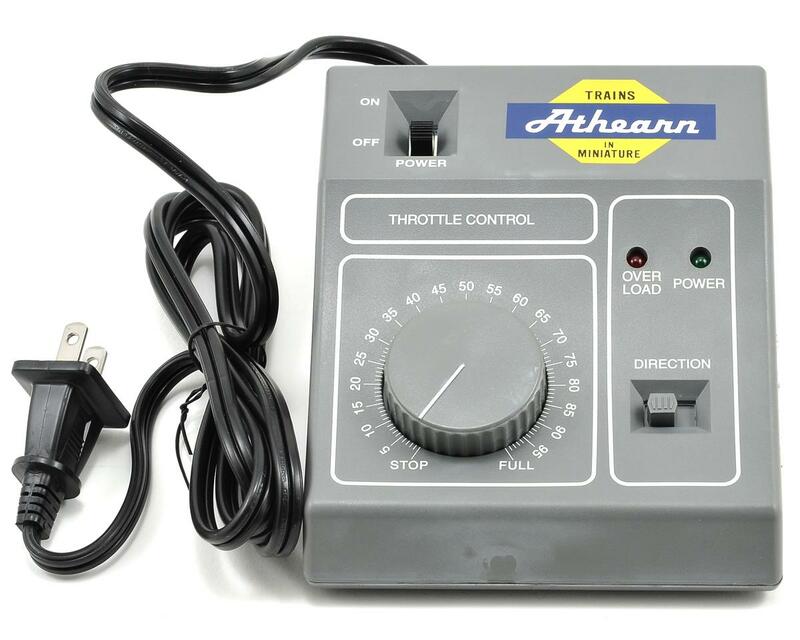 The Athearn power pack uses a speed control knob, a Green LED pilot light, On/Off power switch and Direction switch to control your locomotive. Accessories terminals are provided to operate your layout's remote control switches and accessories (lights, and so on), while a red overload light lets you know when you are overloading the system. Detailed operating instructions and trouble shooting tips provided.